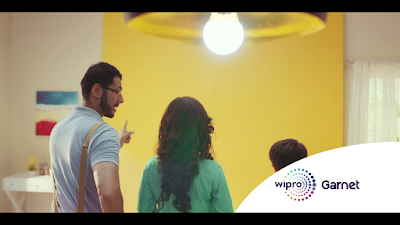 Wipro Consumer Care and Lighting recently launched its new TV ad campaign ‘Wider light for brighter homes’. The ad campaign highlights the importance of choosing Wipro Garnet LED bulb, which is 70% wider than ordinary LED bulbs giving more brightness for homes. 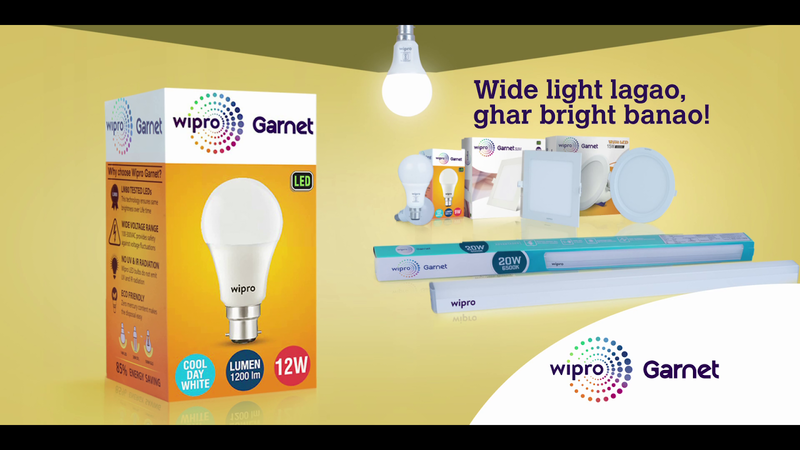 The new TVC aims at changing the consumer’s mindset with its honest instance by giving them a hard-hitting reason as to why they should change their lighting base from an ordinary low beam bulb to the all-new Wipro Garnet LED Bulb which has a “wide beam angle” which enables better light throw and makes rooms/objects better lit. 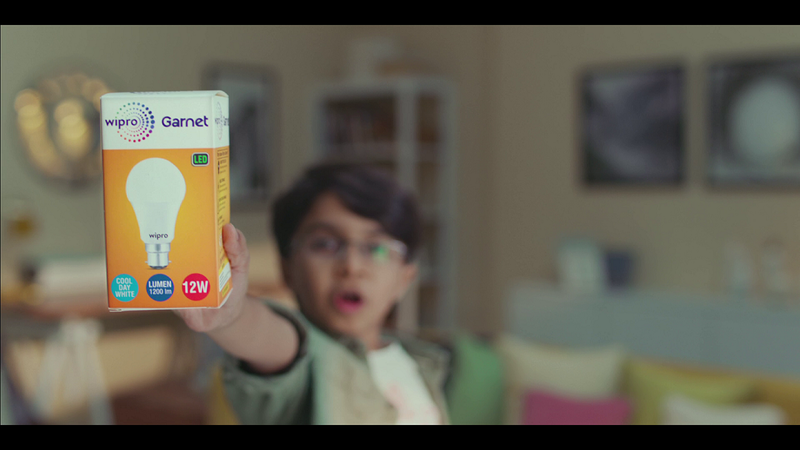 Featuring two 30-second ad films, the campaign focuses on common life situation of the difficulty faced by individuals with a low beam ordinary LED bulb and the transformation to a better life with a wider & brighter light through wide beam Garnet LED bulb. Recently, Wipro Lighting has won several prestigious awards for Product Design, Innovation & Quality Excellence. 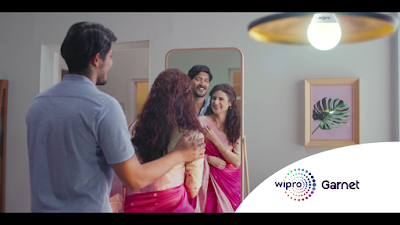 They include International seal of Quality – Red Dot Design award for outstanding design, Global SSL Showcase Top100, India Design Mark for certified excellence in Product Design, Frost & Sullivan award for LED lighting Visionary Innovation leadership, Prestigious Brands Asia 2017-18 and International Diamond Prize for Excellence in Quality by European Society of Quality Research (ESQR).